Paracord Survival bracelet, very versatile and useful for survival applications. Every inch of the wrist diameter is about one foot of Paracord. 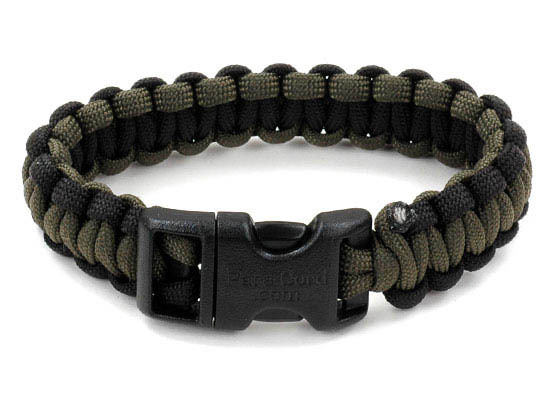 Bracelet is made from 550 lb Paracord & uses a 5/8" curved side release buckle for comfort convenience and strength.